North Carolina has officially wrapped up its 2019 recruiting class, with the final few uncommitted prospects making their college decisions last Wednesday. New Head Coach Mack Brown made it clear that his staff was only targeting a select few players for the February Signing Day, a strategy that paid off as the Heels received multiple commitments in the weeks between the December early signing day period and February. Ultimately, there was only one name still left on UNC’s recruiting board last ... See More Wednesday – four-star Virginia linebacker Eugene Asante, who signed for Carolina in the afternoon. His commitment capped off an incredible turnaround for the 2019 class as a whole, as Coach Brown was able to land a top-35 class from a group that was ranked in the 60’s when he took over. 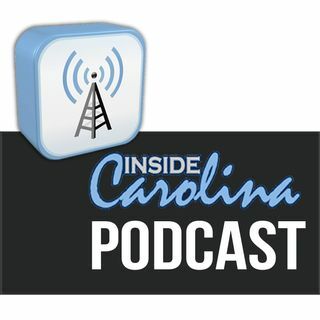 Inside Carolina’s recruiting expert Don Callahan joins Buck Sanders and host Jon Seiglie to give his final thoughts on the 2019 class a whole, look ahead to the 2020 recruiting cycle, and also discuss UNC’s latest verbal commitment – Ray Grier.